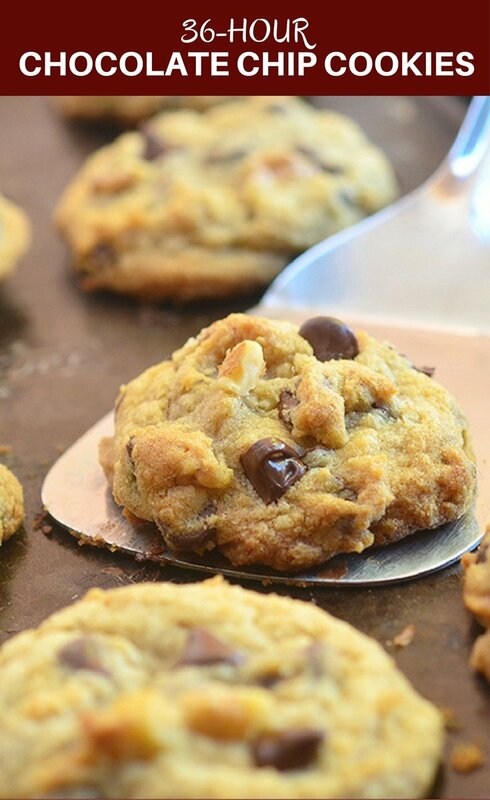 36-hour Chocolate Chip Cookies are soft and moist, chunky and chewy for a whole new level of yum. Truly the best cookies ever and the secret is the chill time! Folks, I hate waiting especially if it involves warm, gooey chocolate chip cookies fresh out of the oven. Even the few seconds it takes for a batch to cool enough to bite is too much for me to bear! However, if we want to take our cookies from good to great, we need to chill out a little and chill these babies for 36 hours before popping them in the oven to bake. 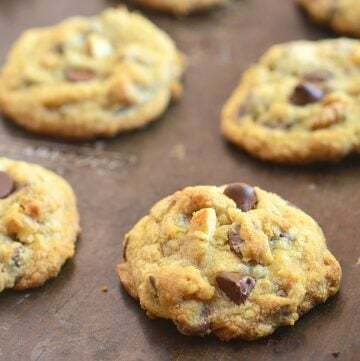 I found this recipe from a package of Ghirardelli chocolate baking chips years ago and has since become my go-to when I’m in the mood for something sweet and chocolatey. I have to say, these cookies never fail to deliver the pure indulgence I crave. 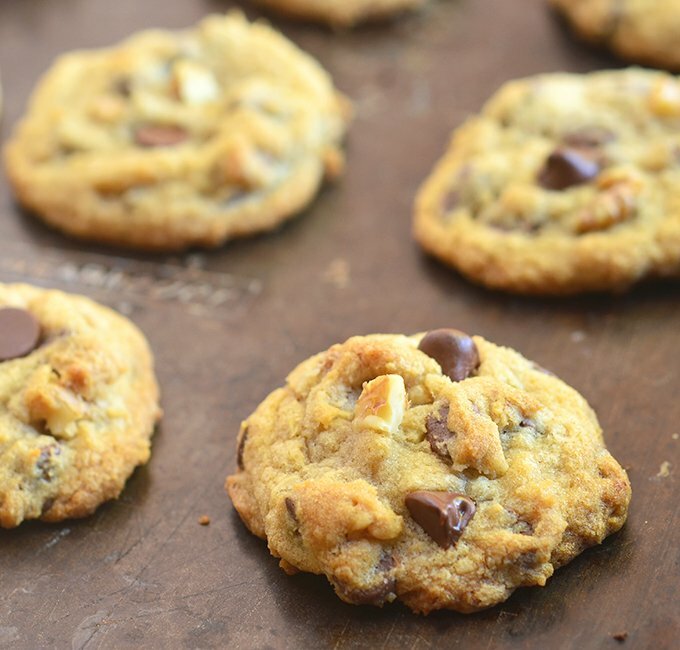 However, a friend of mine shared with me a few months ago a baking tip/method that totally leveled up my favorite chocolate chip cookie recipe into the best cookies I’ve had in my life! Chill the dough, she said, and I was glad I listened. I am not really sure what chemical wizardry happens here but from what I’ve read, the long chill time allows the dry ingredients to soak up more of the wet ingredients for a firmer dough, less spreading, and more concentrated flavor. The resulting cookies taste so much better and bake up plump and proud. Soft, moist, chewy and chunky, these 36-hour chocolate chip cookies are a whole new level of yum. Definitely worth the long wait. In the meantime, you can satisfy your sweet tooth with these chocolate chip cookie cheesecake bars. They’re quick and easy and absolutely scrumptious. In a bowl, combine flour, baking soda, and salt. Stir together and set aside. In a large bowl, beat together butter, sugar, and brown sugar with an electric mixer at medium speed until creamy. Add vanilla extract and eggs, one at a time, beating well after each addition at low speed. Slowly add the flour mixture into the creamed mixture, beating at low speed until well-incorporated. Add chocolate chips and nuts. Stir until evenly distributed. Press a plastic wrap against the dough and refrigerate for 36 hours. 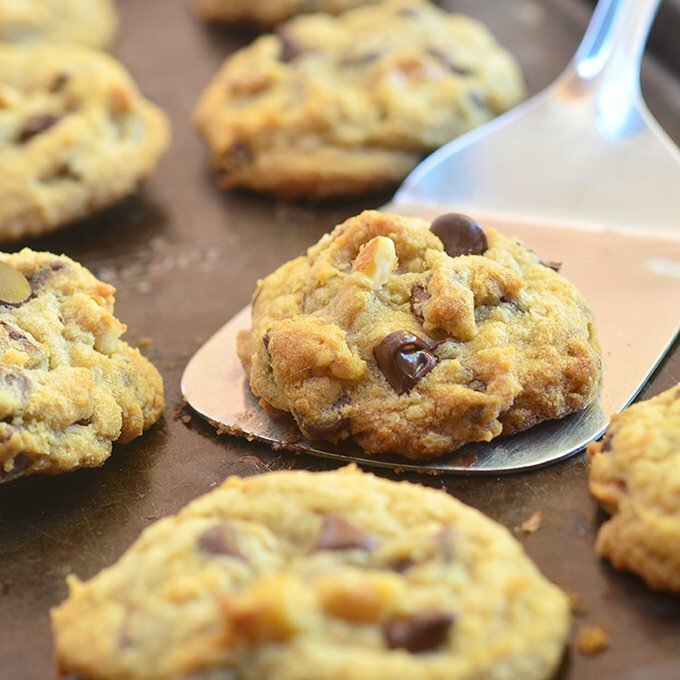 Drop dough by the tablespoon onto ungreased cookie sheets about 2 inches apart. Bake in a 350 F oven for about 12 to 15 minutes or until the cookies are golden brown. Allow to slightly cool for about 1 to 2 minutes and transfer to a wire rack to cool. Interesting concept & I love the thought of breaking up the prep time. I make my cc cookies with 1/2 cup crisco & 1/2 cup butter, just a personal preference. Do you think the chill time would have the same effect? I think the chilling method will affect all types of cookie recipes. I chill my pie crust which uses crisco to make it flakier so I am sure you there will be changes in the texture of your choco chip cookies as well. What??? No comments posted for this incredible recipe??? Thank you so very much for sharing and especially for the “chill time” advice. You’re a doll!